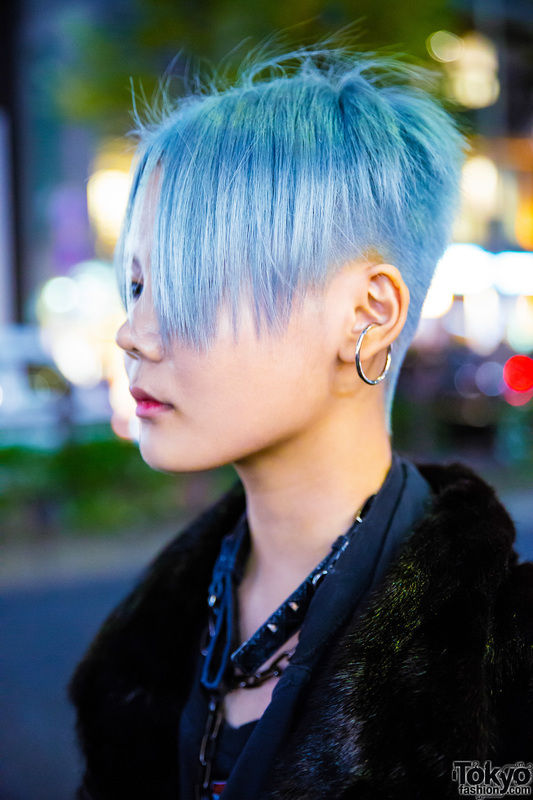 Catching our eye on the Harajuku street one fine evening is Nanaho with her edgy pastel blue hairstyle and ensemble. 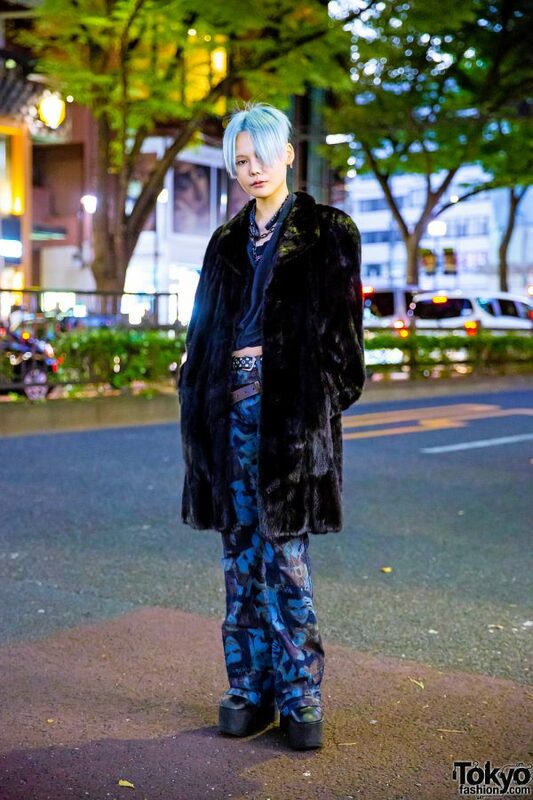 Nanaho stepped out in a vintage faux fur black midi coat, worn over a blue Harley Davidson cropped shirt and paired with resale graphic face print denim pants. 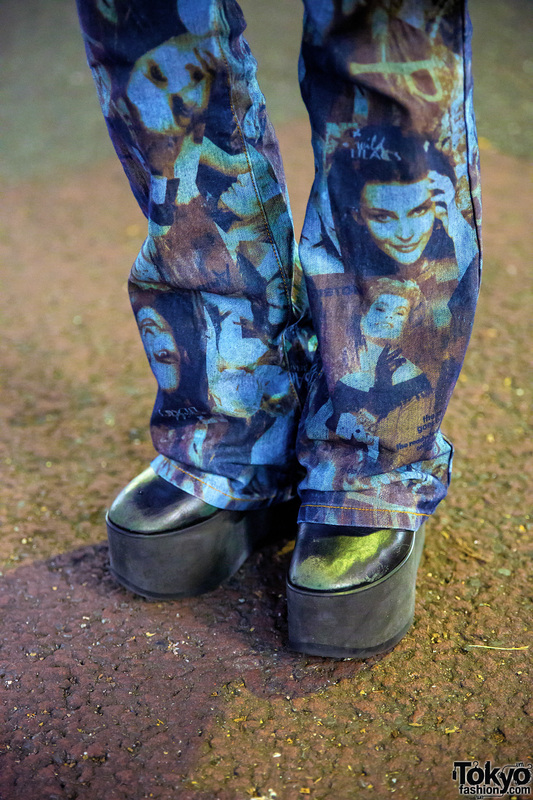 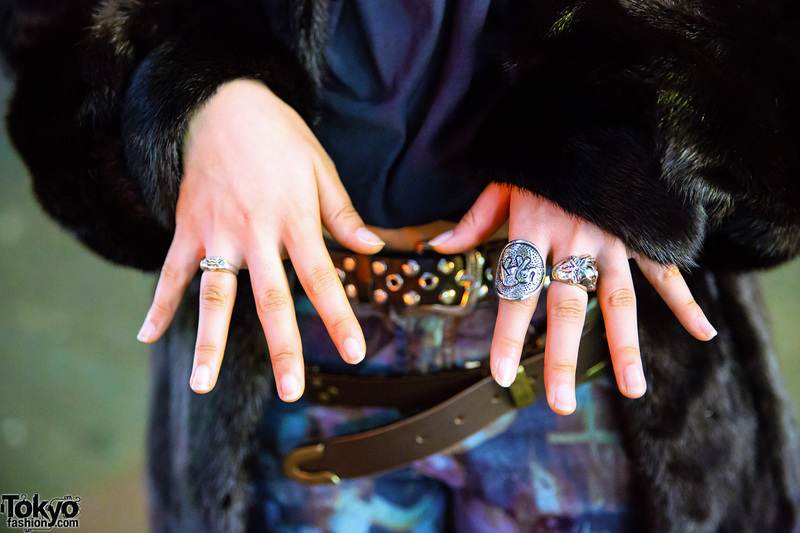 Resale platform shoes and accessories – from Ego and Vivienne Westwood – such as silver hoop earrings, a leather belt choker, a gunmetal chain necklace, a black leather grommet belt, and silver knuckle rings. 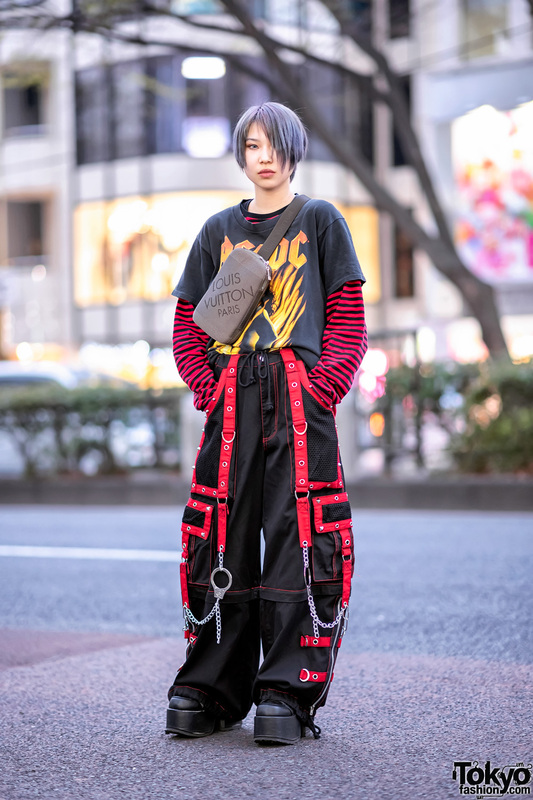 For more of her edgy streetwear styles, follor Nanaho on Twitter and Instagram.